and some even thousands of years before the birth of Jesus Christ. 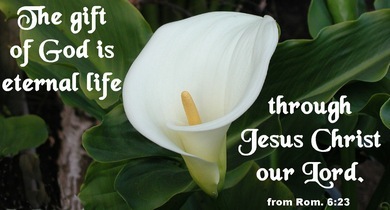 could be forgiven by God and receive the gift of eternal life. of the righteous shall be upon him, and the wickedness of the wicked shall be upon him. conceive, and bear a son, and shall call his name Immanuel (means God with us). with judgment and with justice from henceforth even for ever. but a little. Blessed are all they that put their trust in him. And he (Abraham) believed in the LORD; and he counted it to him for righteousness.